Ti’s latest report, Total Logistics 2018, presents the underlying architecture of the global logistics market, detailing how the industry is pieced together. It reveals the size and share of each logistics market on a global and regional basis, covering all transport modes (road, rail, air, sea and inland waterway) in addition to markets such as freight forwarding, contract logistics, domestic/international parcels and mail logistics. Forecasts for certain markets are provided to 2021. 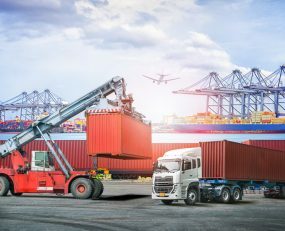 The report examines the dynamics of each logistics segment that have caused the industry to morph into its current state from both ‘demand’ (i.e. manufacturing and retailing) and ‘supply’ (i.e. logistics provider) side perspectives. It investigates the role of high-level trends, such as the role of trade and globalisation, the importance of megacities and supply chain management practises and strategies, before homing in on how markets such as freight forwarding, contract logistics, European road freight (and intermodal), US trucking (and intermodal), express & parcels, air freight and sea freight have come to be how they are today. In addition, the report outlines the drivers behind market consolidation, the supply chain dynamics of vertical sectors and presents an overview of the various technologies impacting supply chains (supply chain management software, 3D printing, autonomous vehicles and others). Total Logistics 2018 is also forward-looking and examines how each key logistics sector is likely to change and why. Whilst global macro-trends are highly important to the long-term future of logistics markets, conversely it is the structure and competitive nature of these sectors which has a ‘bottom up’ influence on supply chain management and hence global economies. For example, hyper-fragmentation and price competition in the European road freight industry has been a key input into the formulation of manufacturers’ and retailers’ centralised distribution strategies. Overall, the report offers a concise, easy to understand view of the industry. To download Ti’s new report, or for further information on the report, click on the link below.